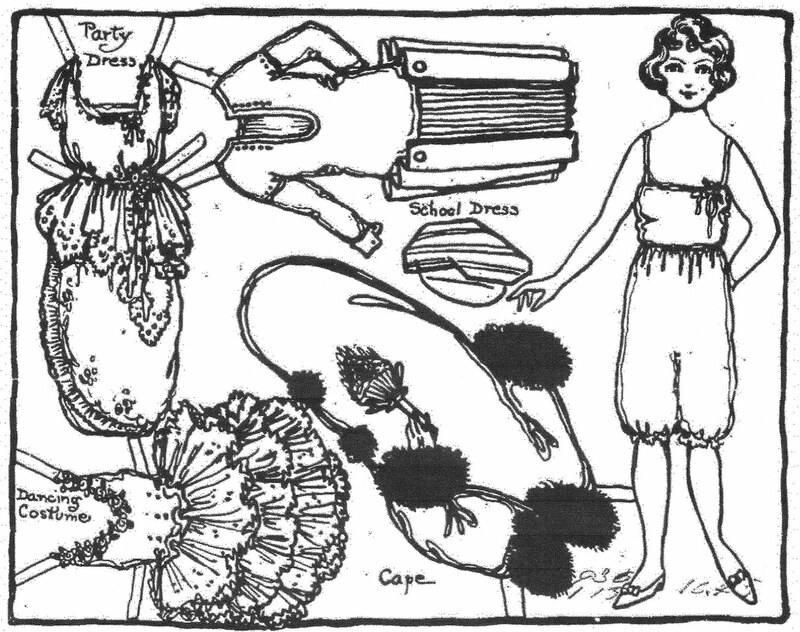 From "Aunt Elsie", July 08, 1923. A Betty, Ruth and Doll cut-out paper doll. 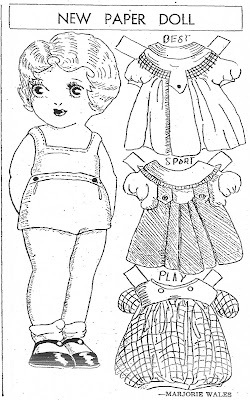 A paper doll by Marjorie Wales from December 08, 1935. 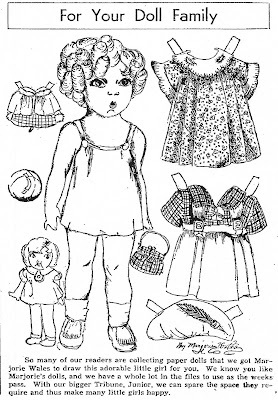 Curly-Locks paper doll by Marjorie Wales. From October 07, 1934. 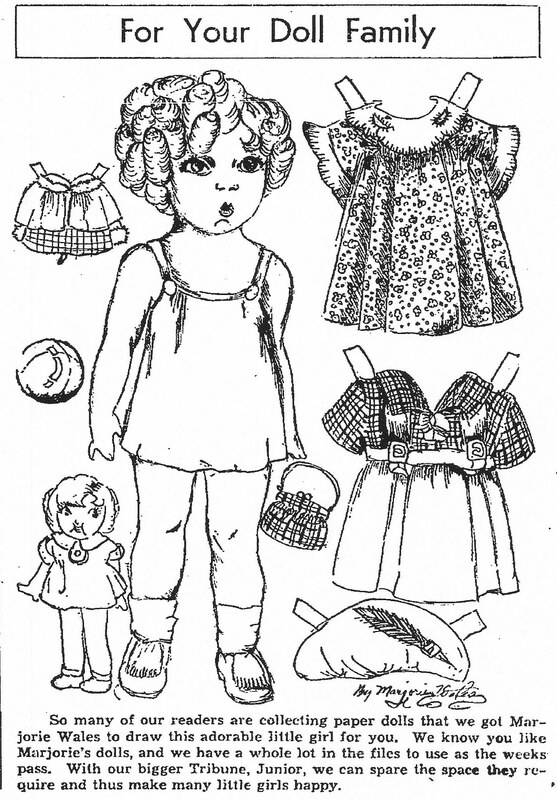 A paper doll that looks very much like Shirley Temple. 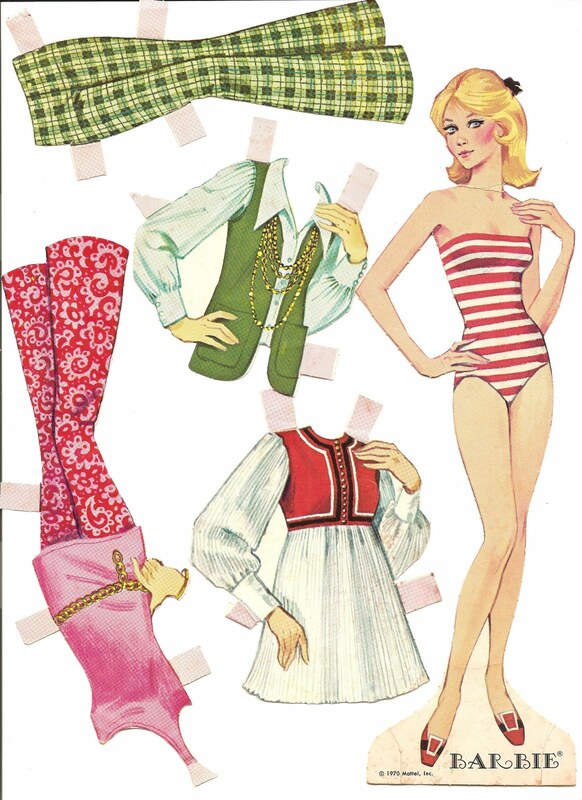 This paper doll is also by Marjorie Wales. From September 29, 1935. 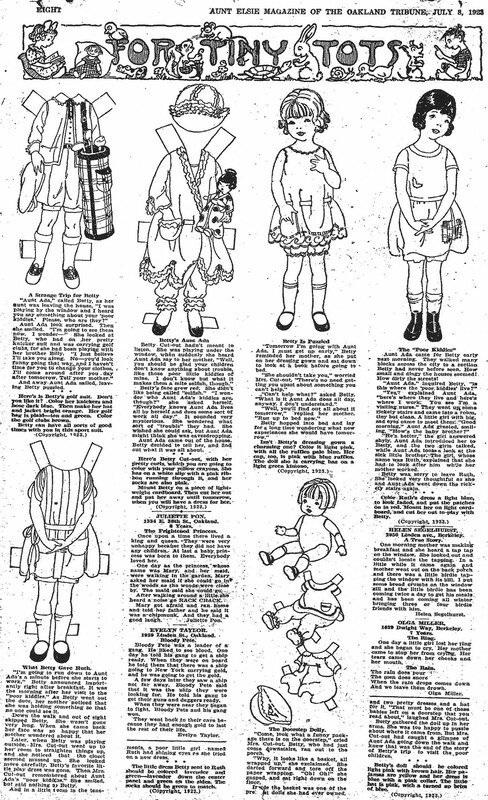 This paper doll series ran for many years in an Utah newspaper. Marjorie Wales drew many of the paper dolls but some were submitted by the youngsters of the area. Very similar to "Aunt Elsie". 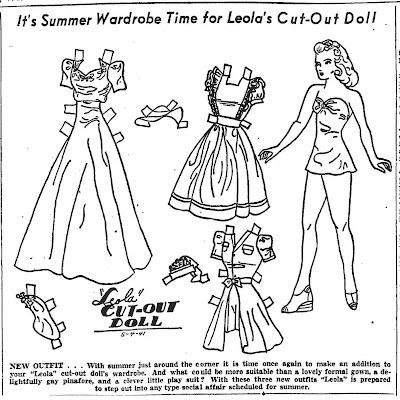 From May 04, 1941. 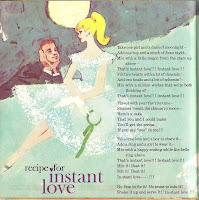 Drawn by Leola Farr. 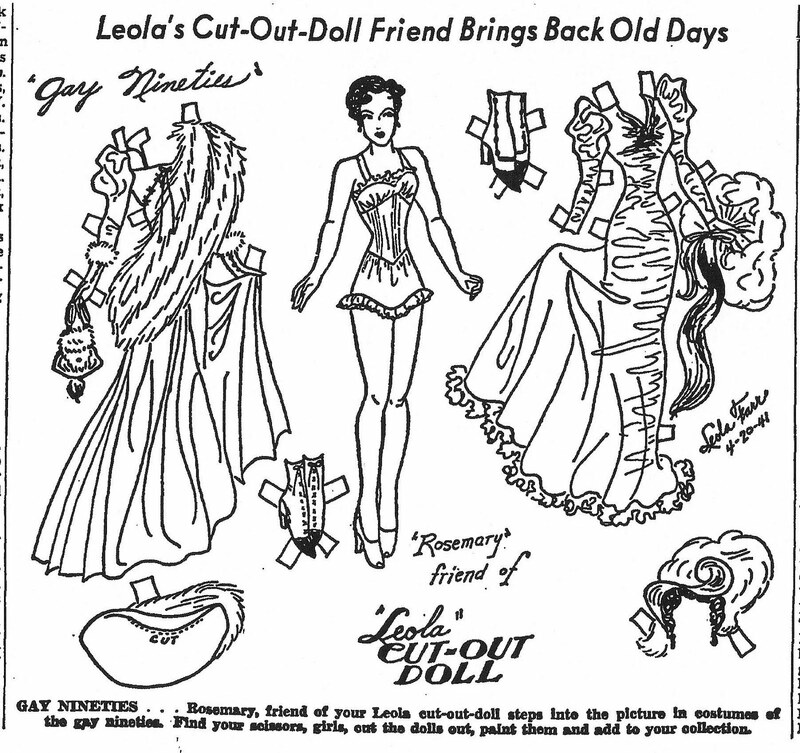 Rosemary paper doll by Leola Farr. From April 27, 1941. This "Count The MAYTAGS" contest appeared in an Oklahoma newspaper on September 16, 1956. 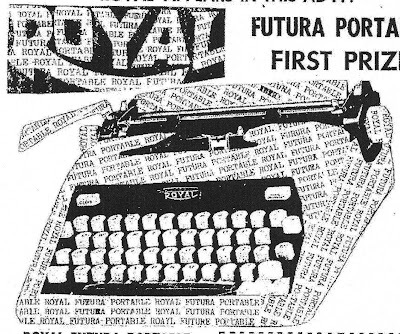 "Just Count The Number Of Times The Word 'ROYAL' Appears In This Ad . 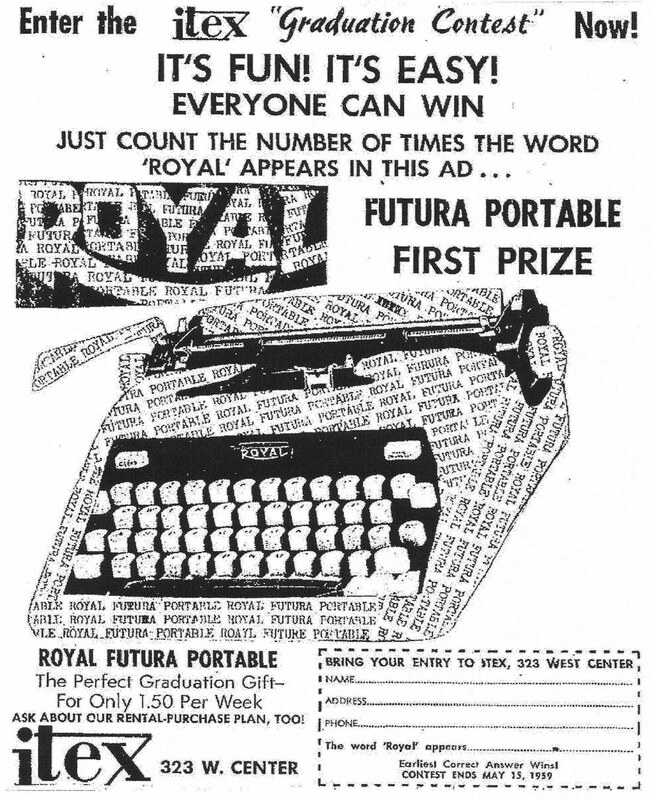 . ." This ad for the iTEX Graduation Contest appeared in an Idaho newspaper on April 24, 1959. "Now that school days and football days are with us again, Marshall will be kept busy with his megaphone, for as you know he is a new member of the Doll Family and makes his debut this year as a cheer leader. He wears a natty turtle-neck sweater just like Clark Gable." 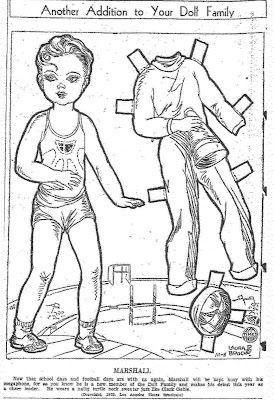 Marshall, another member of the newspaper paper doll series by Laura R. Brock, needs you to color him and his natty outfit in time for the upcoming football season at school. 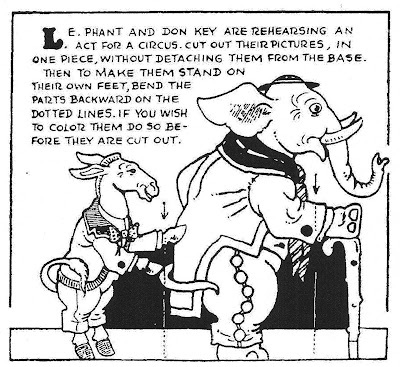 From October 1933. 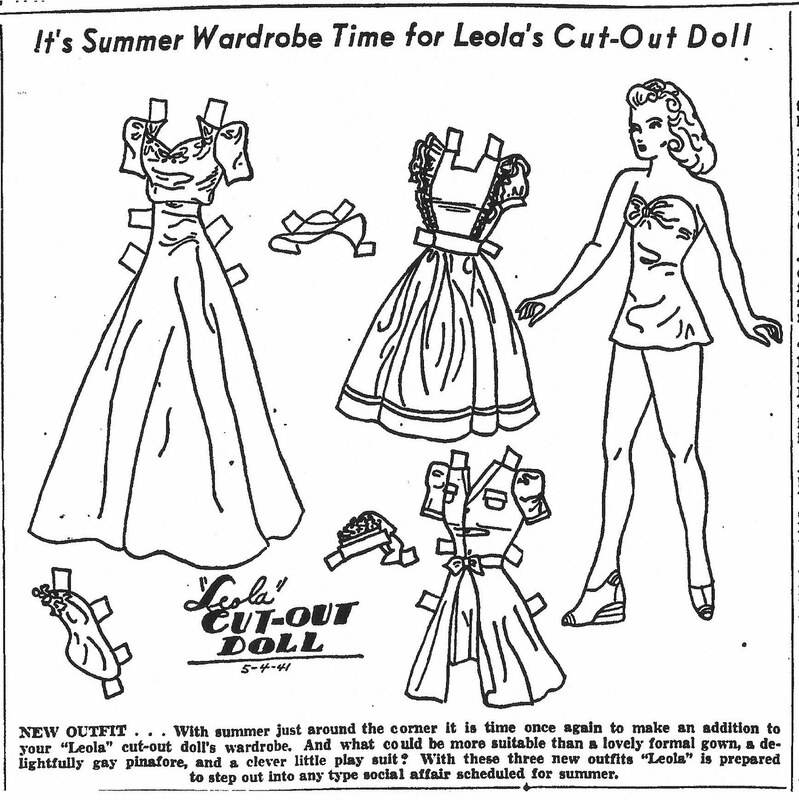 "Cut-Outs by CASUAL TIME! 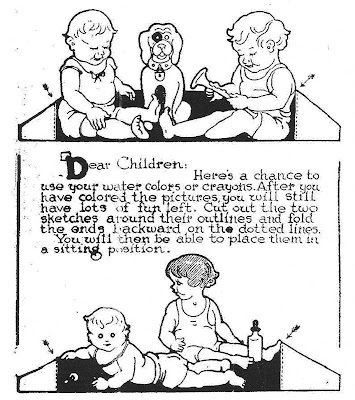 Color me and cut me out in time for Back-To-School." 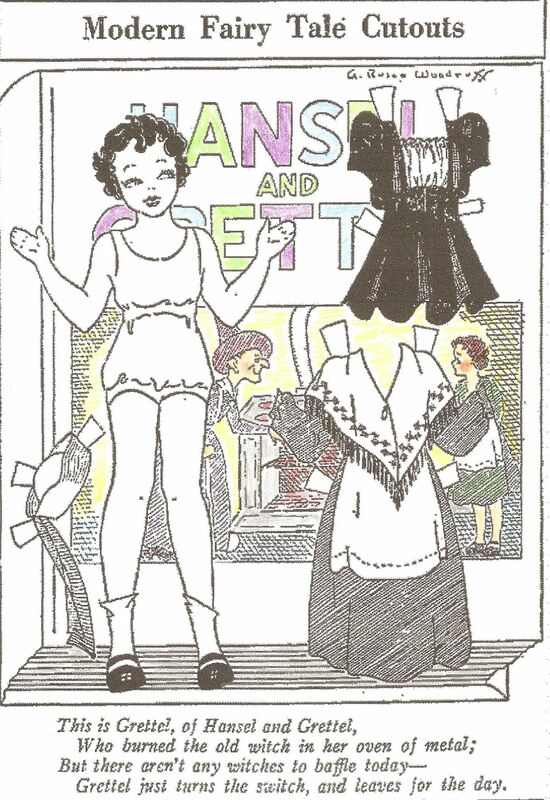 This newspaper ad for Cox's Department Store featured a paper doll with clothes by CASUAL TIME! From August 18, 1970. 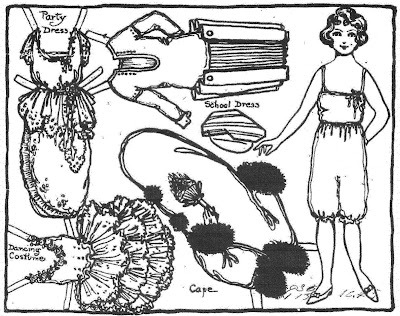 A little girl in Houston would melt-away if she went back to school in this clothing. 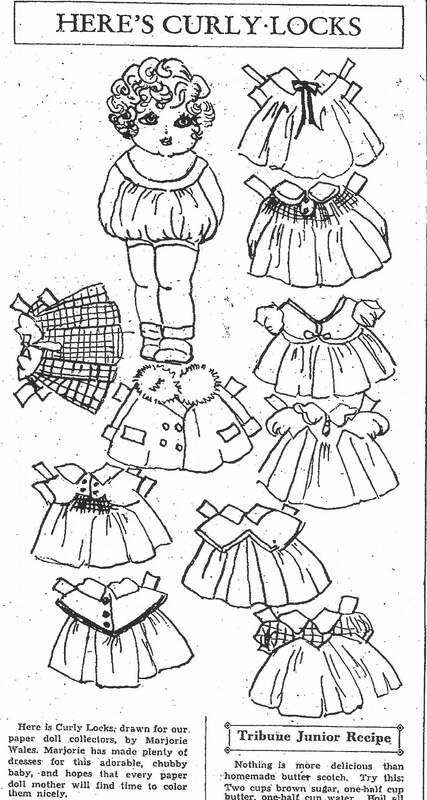 A Houston girl might be able to wear these clothes in January or February, maybe! 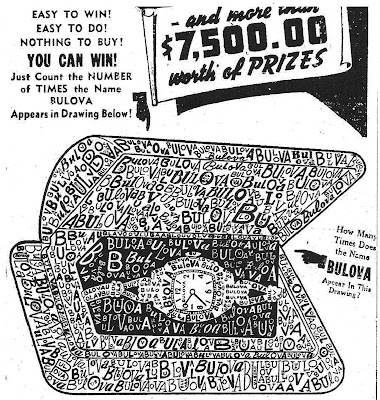 How Many Times Does the Name BULOVA Appear In This Drawing? 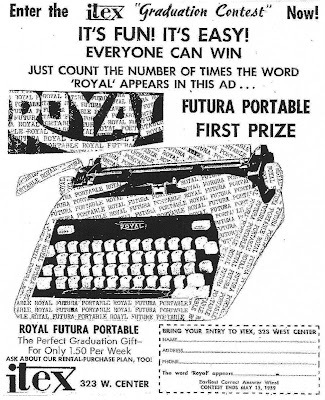 This contest appeared in a Fitchburg newspaper in September of 1939. 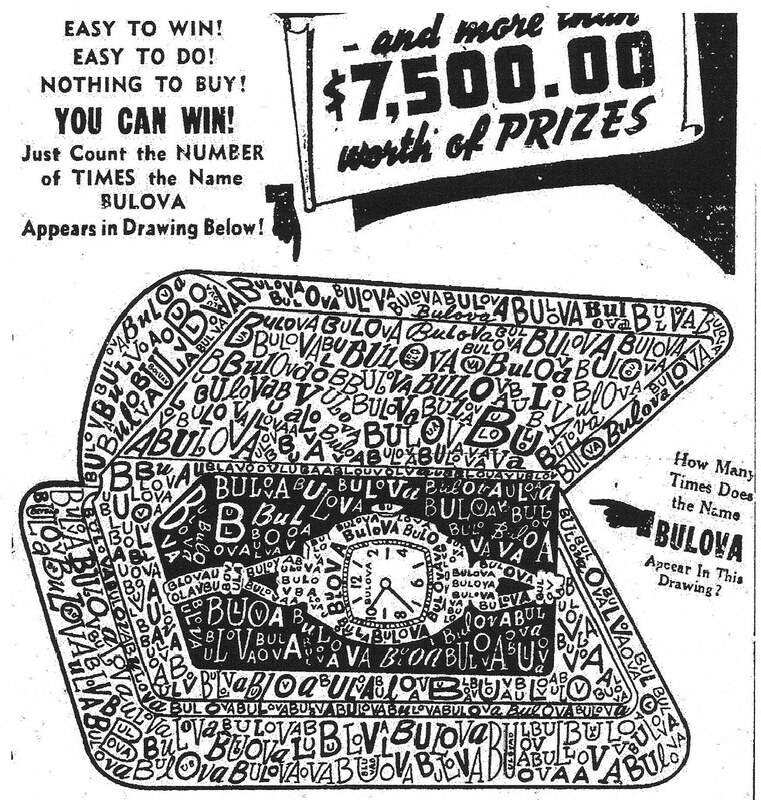 The contest appeared in an ad for WASHINGTON JEWELRY CO. of Fitchburg, MA. 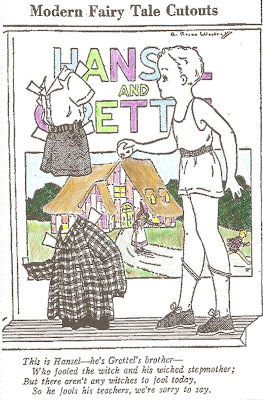 Hansel and Grettel from the "Modern Fairy Tale Cutouts" newspaper paper doll series by Addie Rosco Woodruff. 1940. 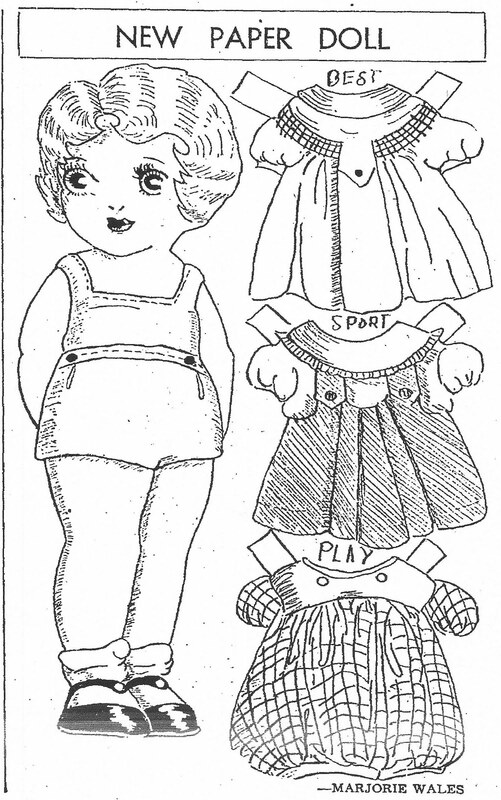 The babies to color and cut-out are from January 07, 1934. 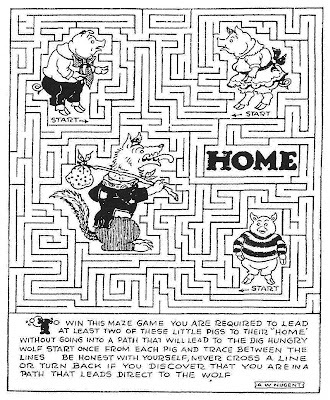 The mazes found on the A. W. Nugent page are just as cute as the cut-outs. 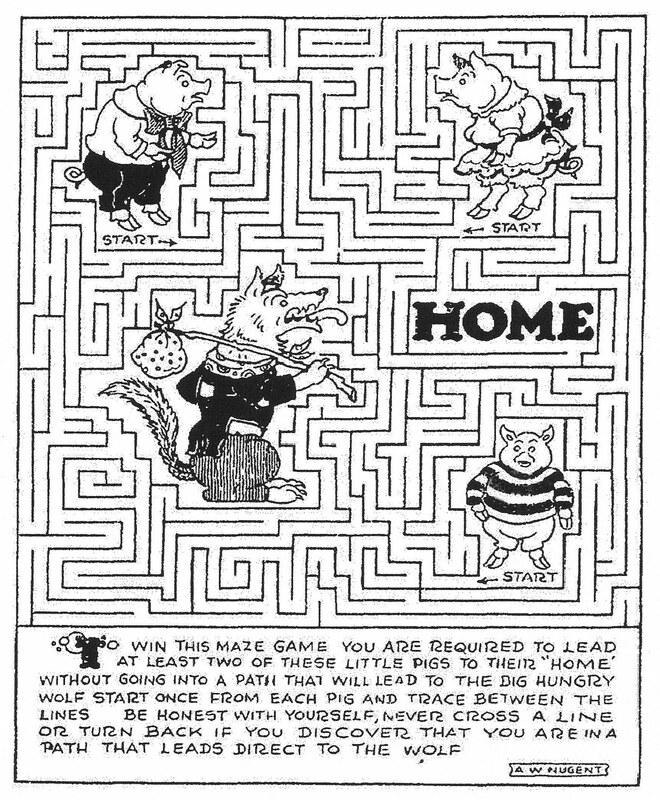 This maze is from January 27, 1934. 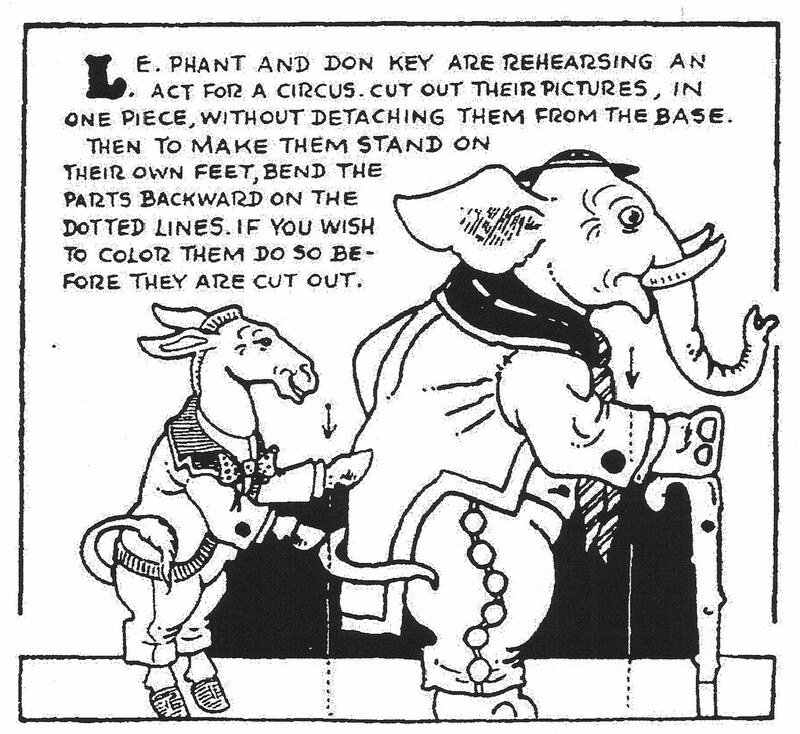 Here is Mr. L. E. Phant and Mr. Don Key rehearsing an act for a circus. 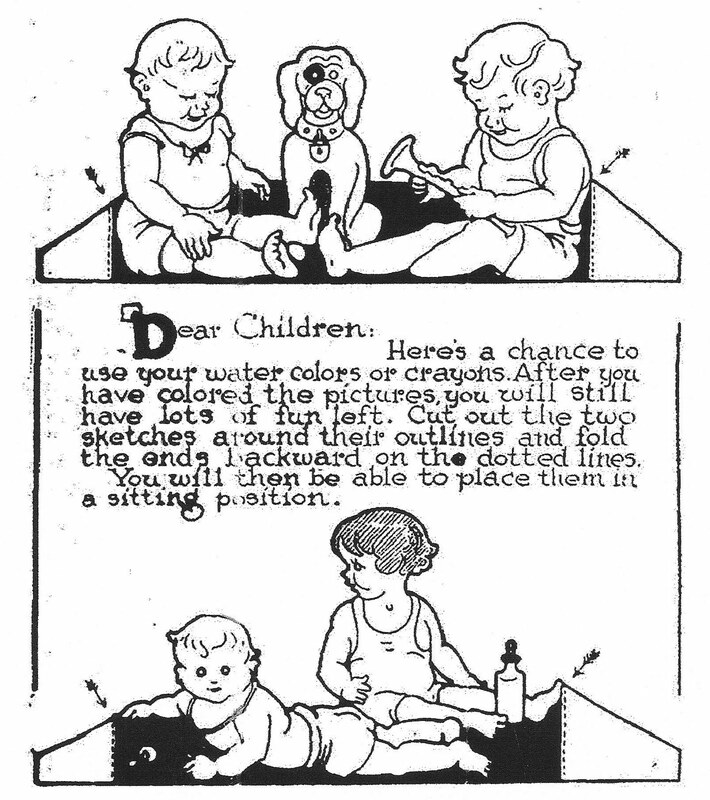 Color them first and then cut the cute fellows out. From March 31, 1935. 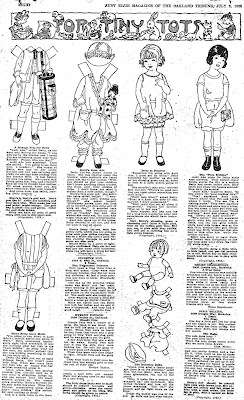 Here is Daffy-Down-Dilly from the Modern Mother Goose Cutouts newspaper series by Addie Rosco Woodruff. From April 30, 1939. 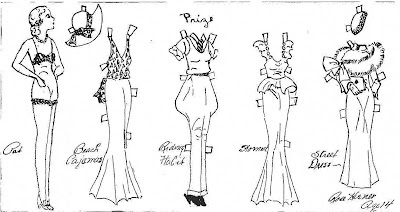 Miss Bobby paper doll by Blossom Ellsworth (great name! ), age 14. 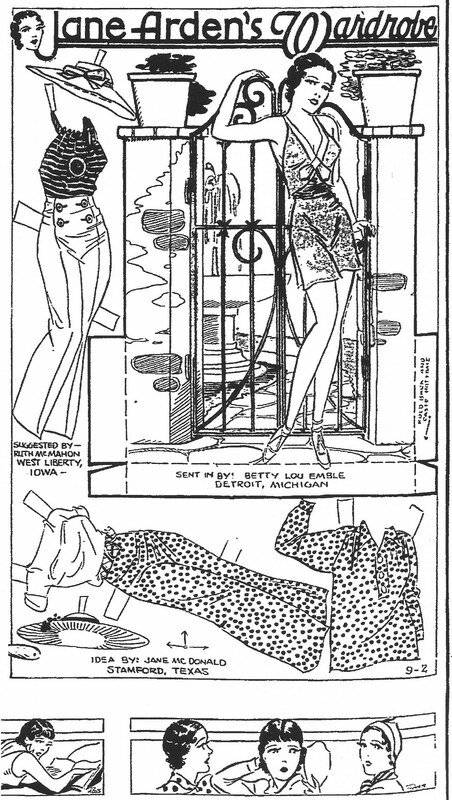 From October 18, 1931. 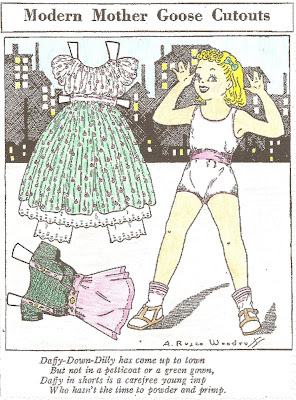 Patty paper doll by Clara Woolverton, age 12. 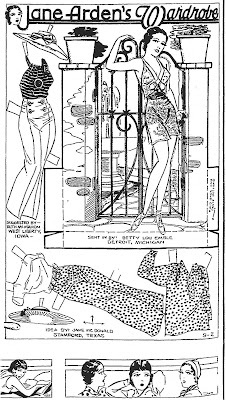 From September 20, 1931. 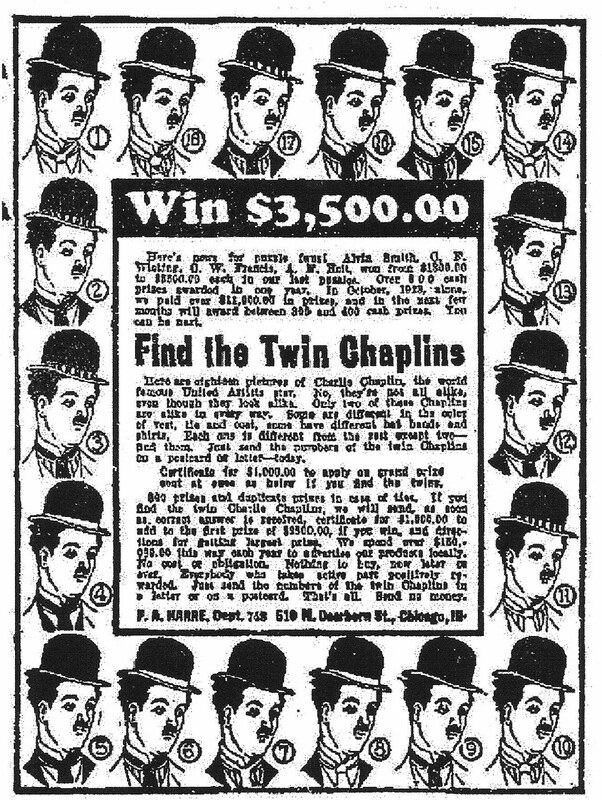 An ad for the Chaplin film "The Gold Rush" from 1925. 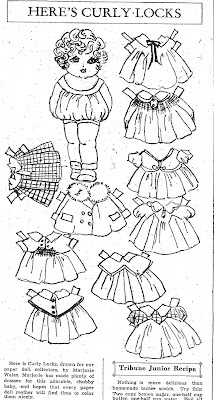 From a paper doll reproduction sheet. 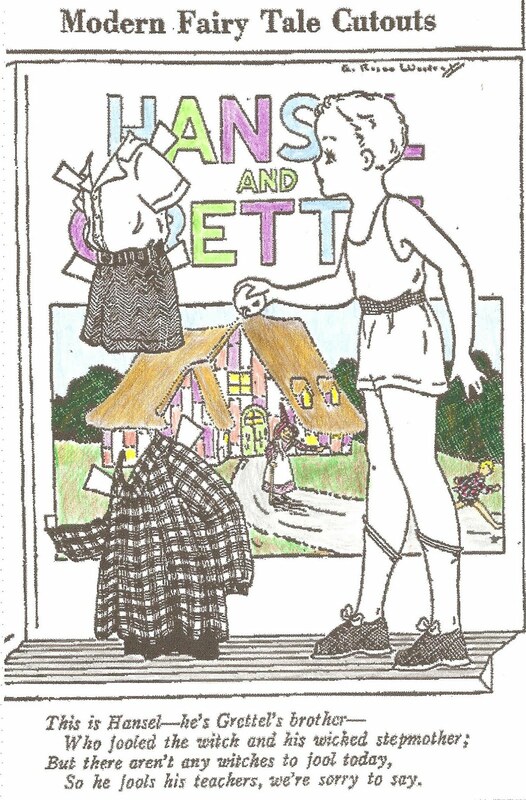 This coloring contest from 1942 offered movie tickets to see "The Gold Rush" starring Charlie Chaplin. 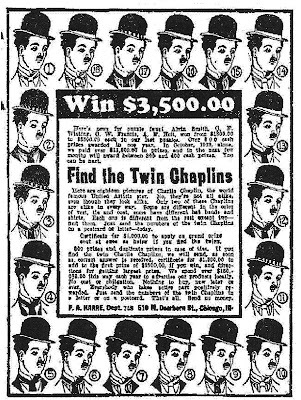 A "Find The Twins" contest - this time featuring Charlie Chaplin. 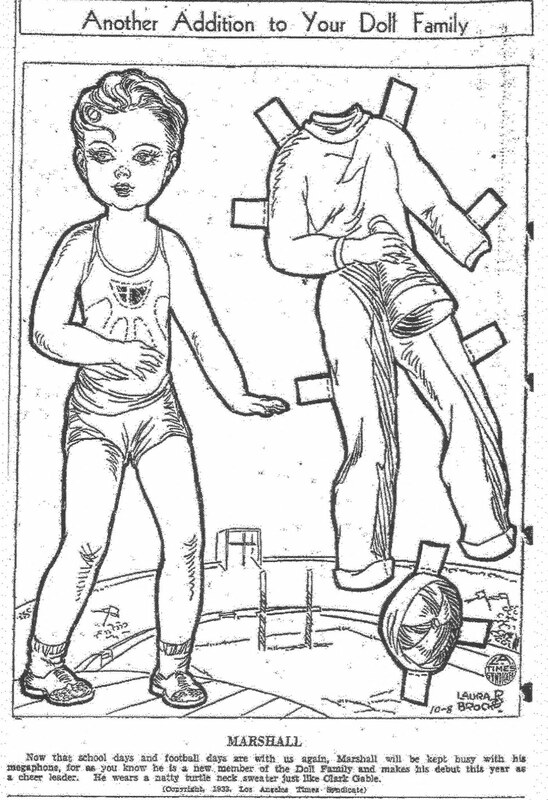 Appeared in newspapers across the country in 1929. From Comics Scene Magazine #8. 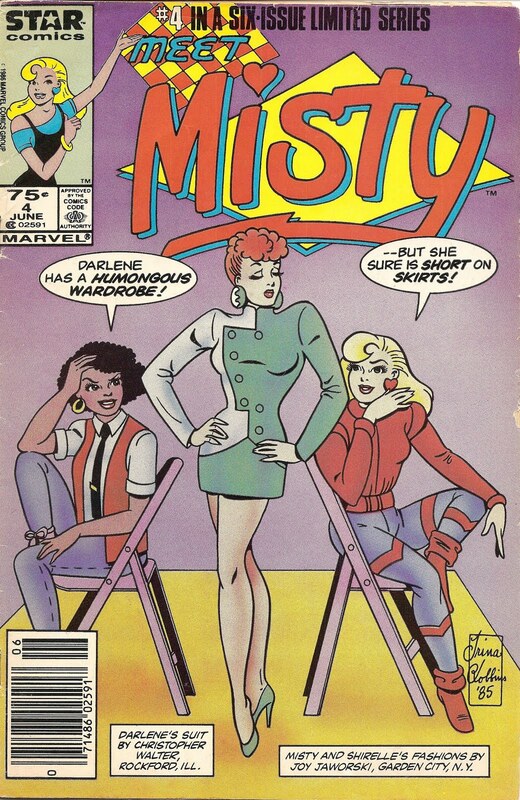 MISTY comic book by Trina Robbins. Volume 1, Number 4, June 1986. SHIRELLE in Tricks with Scarves. 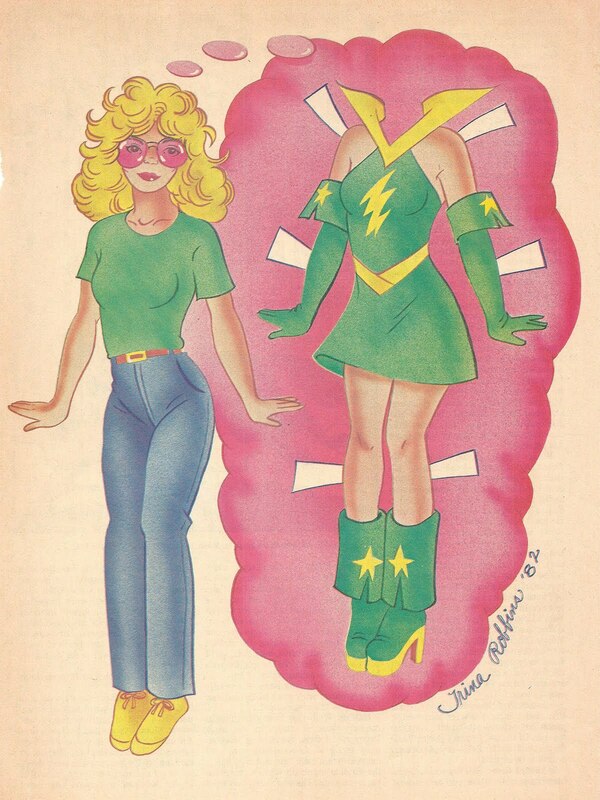 There are five pages of paper dolls in this Misty comic book. So Who Sez REBEL SKUNKS Can't Have Fashions? REBEL SKUNK fashions. From the comic book "Rebel Skunk" Blackthorne Publishing Incorporated. 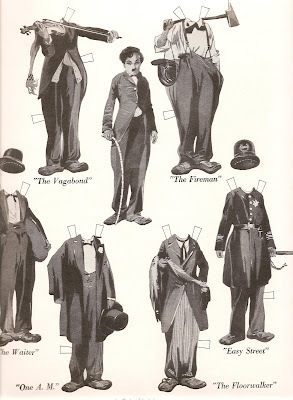 The actual comic book is packed away, just the paper doll page is in the binder, so I do not have the name of the artist. The date on the back of this page is 1986. 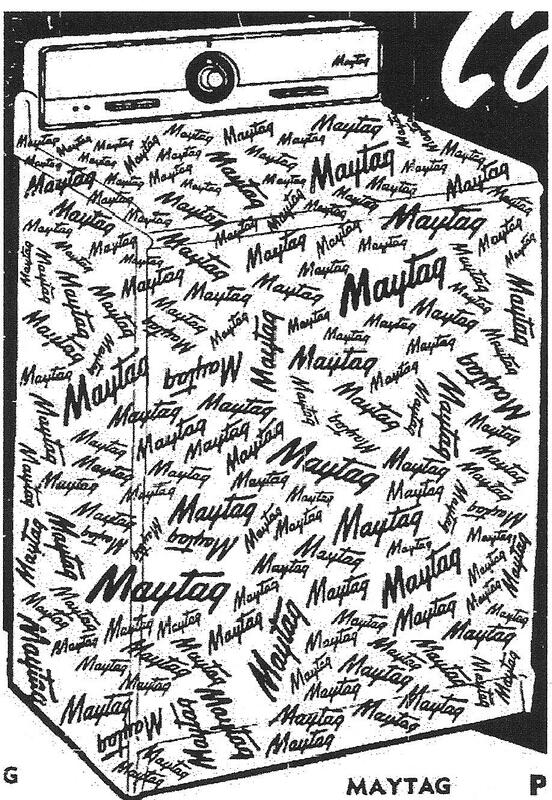 This ad appeared in a Massachusettes newspaper on February 03, 1944. "Let's go over the top - Buy, Buy War Bonds, Bye Bye War!" 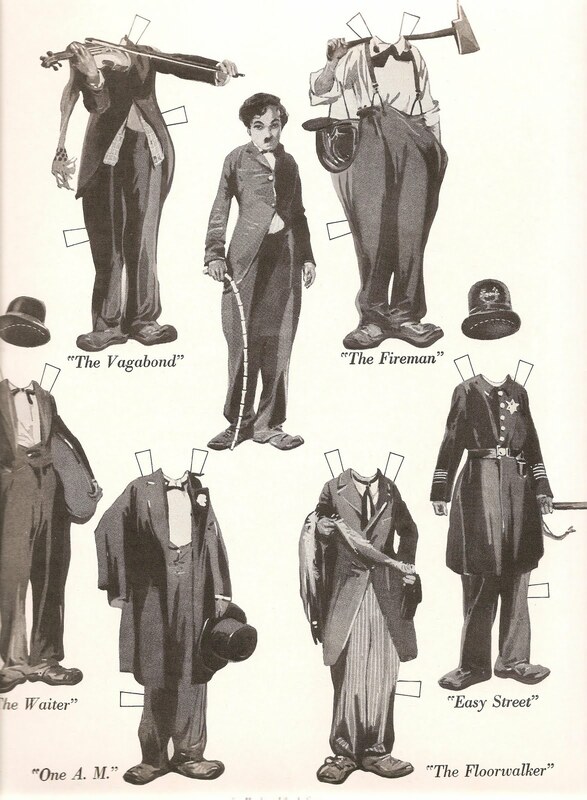 The ad features clothing from England Brothers' Sportswear Department. 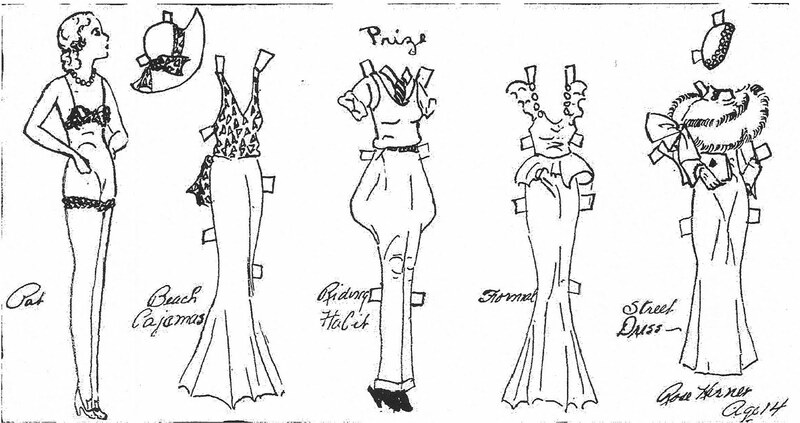 "I'd rather have a paper doll to call my own!" Here are two of my BARBIE paper dolls. I still have almost all of their clothing and accessories. I really do like 1970's fashions. 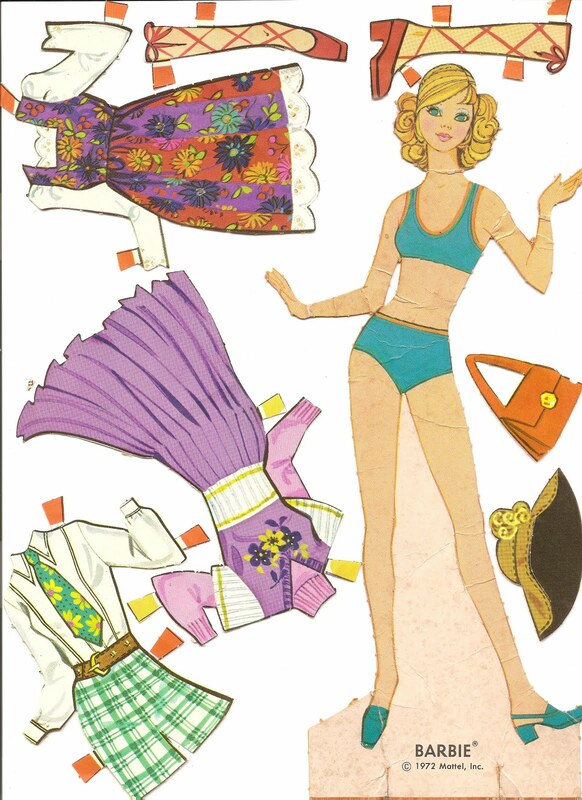 The Barbie from 1970 goes with the Ken paper doll that I have already posted. I found this at a rummage sale at a Catholic Church on Saturday. 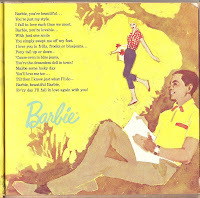 "BARBIE Sings! 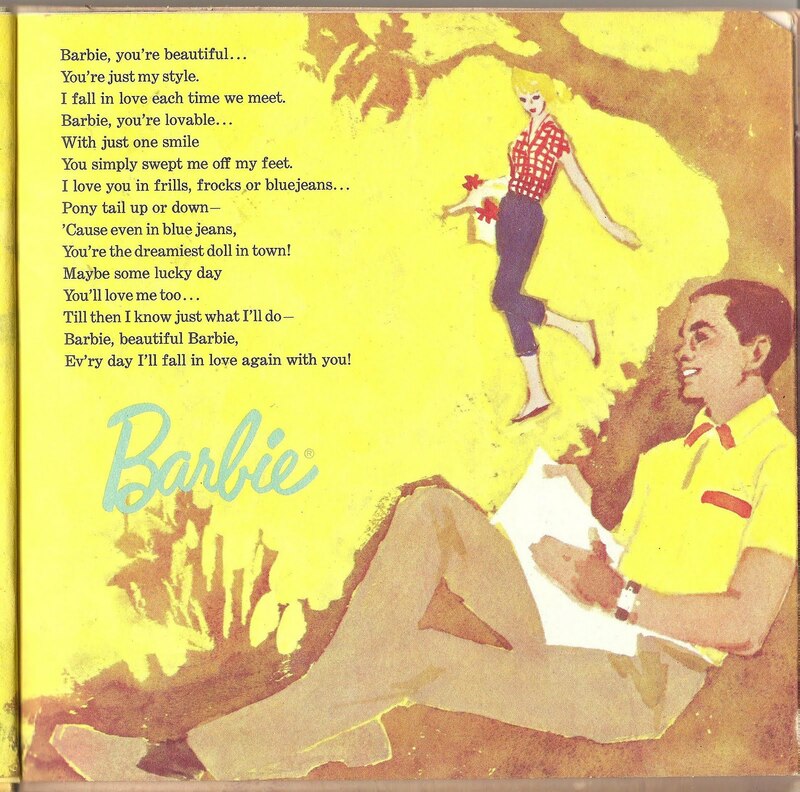 6 terrific teen-age tunes sung by Barbie and Ken (and you can sing along, too!)" 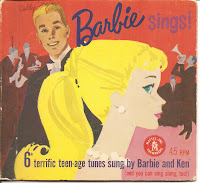 BARBIE is sung by Charlotte Austin and KEN by Bill Cunningham. 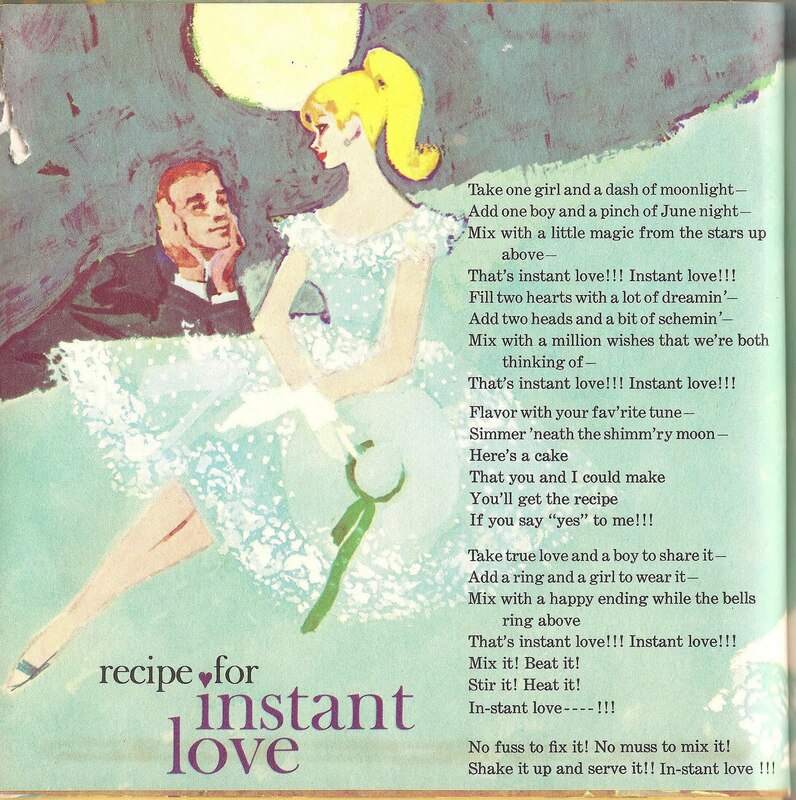 Words and Music by Eliot Daniel and Ken Darby. 1961, Mattel, Inc.
From October 16, 1932. 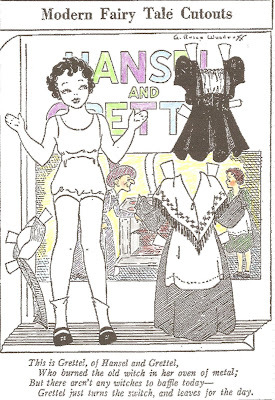 It is easy to see that this young artist, Rose, age 14, was influenced by Etta Kett paper dolls. "OFF to school . 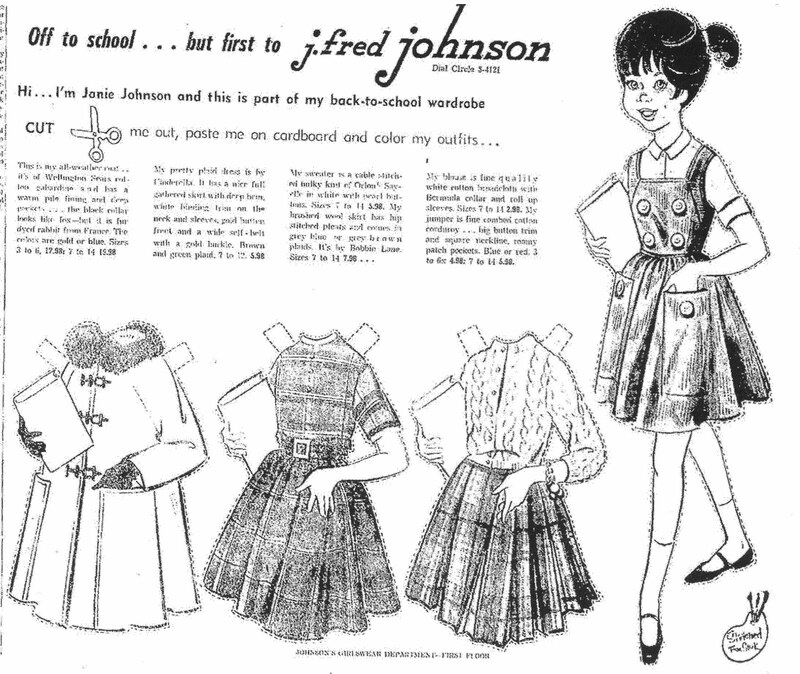 . . but first to j.fred johnson. Hi . . . I'm Janie Johnson and this is part of my back-to-school wardrobe. Cut me out, paste me on cardboard and color my outfits . 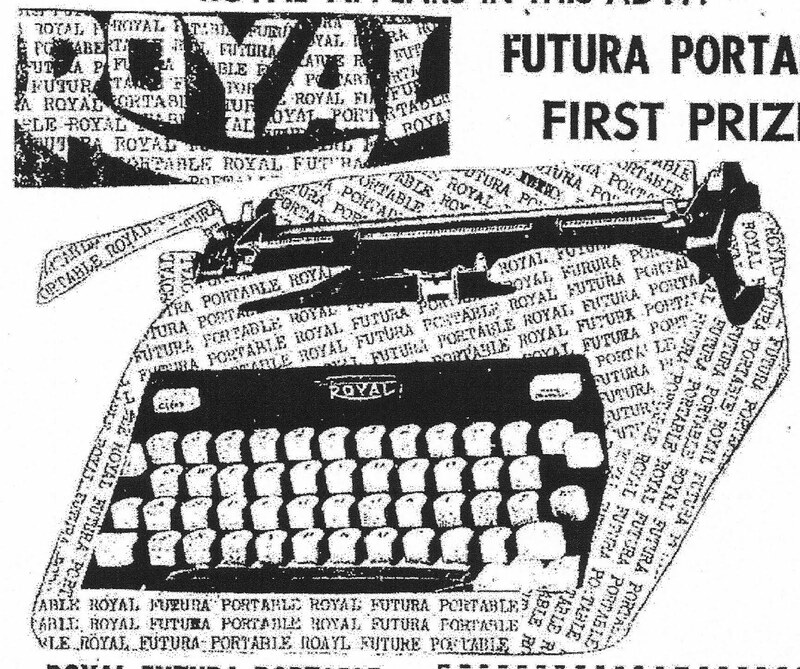 . ." This ad appeared in a Tennessee newspaper on August 26, 1962. 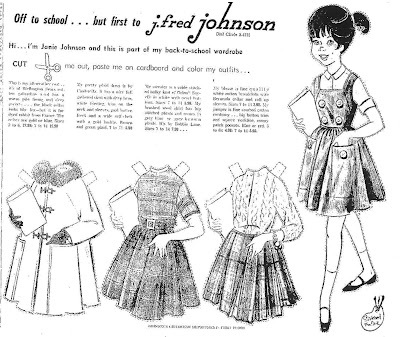 I think Miss Janie Johnson is a cute paper doll and I like her early 1960's school wardrobe.